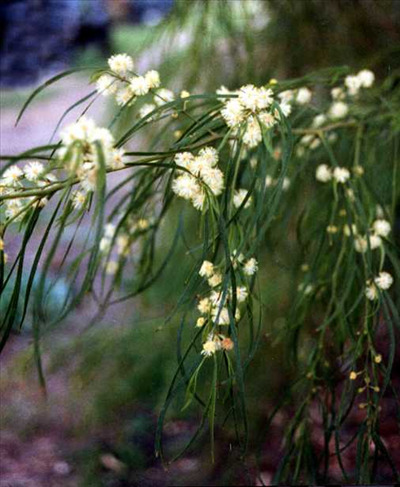 A graceful weeping small tree to approximately 15-25 ' with creamy yellow ball flowers in spring-early summer. Prefers full sun or partial shade in well drained light or heavy soils. Tolerant of extended dry periods and frost, although will respond to summer watering. Suitable fast growing small ornamental tree or light screen.